There is a supermarket in the neighborhood where you could buy groceries. You are welcome to have a campfire at this campground. 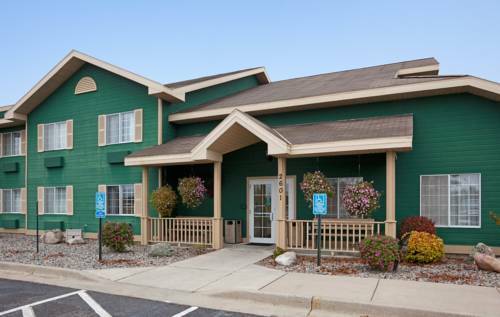 It's really bad for you to be inside all the time; you need to get out from time to time, and Ripple River Motel And Rv Park in Minnesota is exactly the location. no way to get bored. If you are in Minnesota all through camping season, you must go camping. There are so many amusing things to do close to Ripple River Motel And Rv Park, and scores of folks enjoy coming here to escape. The good local attractions and the close by outdoors recreation will make you delighted you came. The friendly atmosphere and the fine quality of everything here have folks coming here. Ripple River Motel And Rv Park is often visited by the folks in Aitkin. a popular spot for people from Aitkin. An afternoon playing golf at Wealthwood Golf Estates is always a pleasure. Why not take a visit to close by Bump 'n' Putt Family Fun Park for an outstanding game of mini golf. Outdoors recreation in the vicinity of Brainerd, Minnesota, the metro area neareast to Ripple River Motel And Rv Park. Find info on campgrounds, marinas, hiking trails, ski resorts, lakes, beaches, parks, whitewater, golf courses and more.